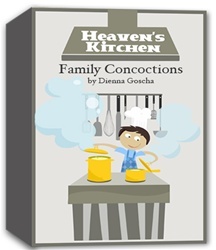 Cook up some fun with your family using the Heaven’s Kitchen Family Resource. Investigate five parables that Jesus (parables are just stories with a spiritual meaning) told using a variety of fun activities. If you have ever felt that talking to your child about spiritual concepts was awkward, this book is for you. 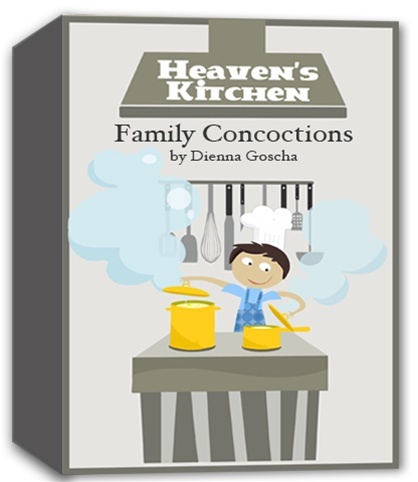 If you have ever wanted a creative way to connect spiritually with your child, you will find the resource is full of fun, hands-on activities. If perhaps you are used to a special Bible time with your family, this book will enhance the time you spend together. The resource is flexible. Pick and choose activities that fit your time constraints. Some ideas are simple while others will take a bit of planning. Perhaps you will want to read a parable one night and each night the rest of the week pick an activity based on that parable. Or instead you might like to have a family night in which you pick a number of activities to do together. Use the resource in a way the benefits your family. You can print the book, or carry it around and view it on an iPad as a PDF. Listening and Learning: Read the parable. Ask questions based on the story. Dialogue: Pick one or two questions to discuss applications of the point of the parable. Drama: Acting, building and movement ideas. Family Journal: Use a drawing pad or notebook. Draw, write or create something in the journal from the ideas given. Write the ideas on the top of each page of the journal. Family members can have fun adding to the journal during the week. Kitchen Science: Experiment with food and other kitchen stuff. Family Outings: Ideas for family fun outside the home. Crafts: Create some works of art. Cooking: Recipes and simple snack ideas to share.